We visited the 10th Istanbul Biennial. On that occasion the Istanbul Museum of Modern Art had a temporary exhibition on the whole ground floor called “Times Present Times Past” with an overview of the 9 past Biennials. The building itself is excellently located on the Bosphorus. I was mezmerized by the restaurant and bar: what a stunning view over the Bosphorus while having a lunch or simply an expresso (or Turkish Coffee). What struck me most were four photo’s of Shirin Neshat from her series “Woman of Allah”. 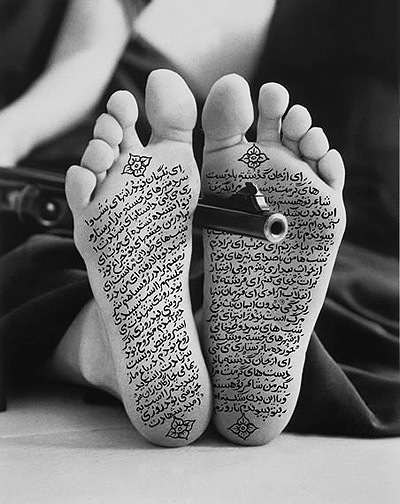 As one of the most controversial of contemporary artists, Shirin Neshat will participate in the exhibition with her works from her series Women of Allah, which was part of the 4th Ä°stanbul Biennial in 1995. In RenÃ© Blockâ€™s biennial, Neshatâ€™s work was introduced to the international community and widely discussed. The Iranian-American artist, who participated in the 4th, 5th and 8th Ä°stanbul Biennials, was recognized internationally after her Women of Allah series, in which she used the images of Iranian revolutionary women who were ready to die for their convictions and combined a poetic expression with a problematical political content. Neshat left Iran in 1979 at the time of the Iranian revolution to resume her studies in the U.S.A. and had to live in exile until 1990. When she returned to her country after having spent 11 years in the U.S.A, she began questioning the role of women in the public sphere under the Islamic regime; in the series Women of Allah, which she produced between 1993 and 1997, she concentrated on issues relating to womensâ€™ body, text and political action. 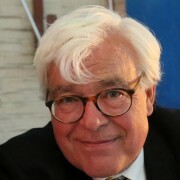 Immediately I associated these photos with the film Submission made by then controversial member of Dutch Parliament and current Bush think tank associate Ayaan Hirsi Ali and Dutch film maker Theo van Gogh, a distant relative of Dutch painter Vincent van Gogh who was murdered after the film was presented.